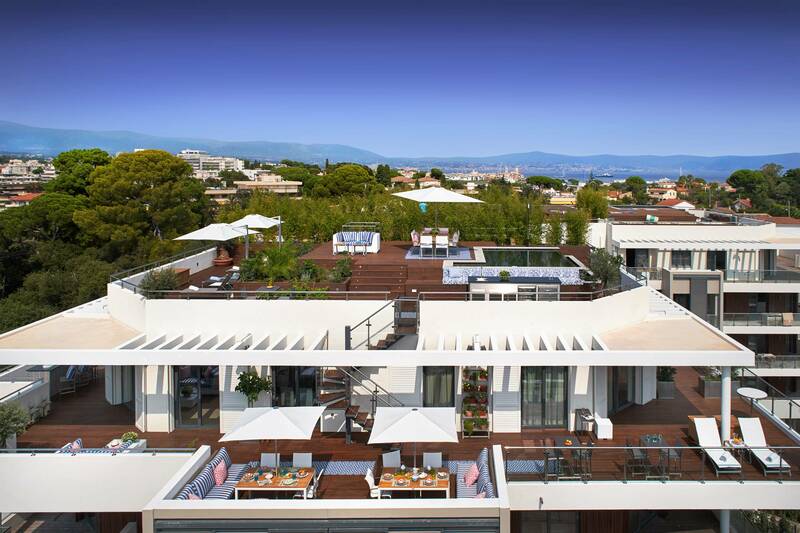 A high-quality standards housing project has been built in the town of Antibes – Juan-les-Pins, in the heart of “Parc Saramartel” and at a distance of about 200 meters from the famous “Pine forest” in Juan les Pins and only a moment from sandy beaches. 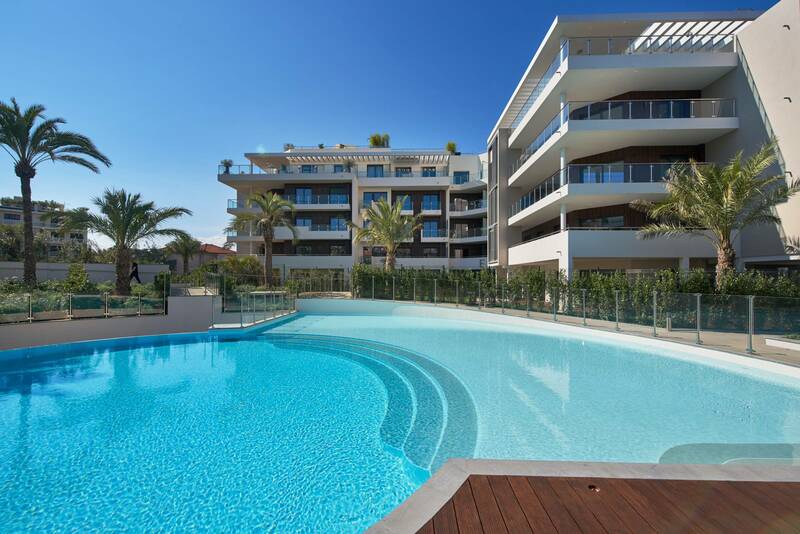 The development consists of two five-storey buildings with a total of 90 apartments in a large variation of typologies configuration, from 44 up to 190 sqm; Each penthouse on the top floor has its own private roof terrace with astonishing sea views, pool and counter-current system. 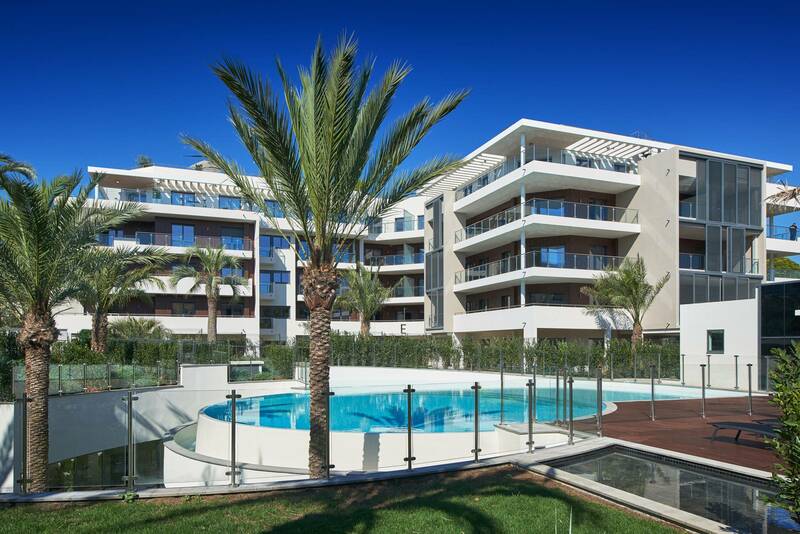 The facades of each building have been cladded with treated wooden Trespa panels, and some loggias have been protected by series of sliding sunshades elements, giving privacy to the occupants as well as dynamicity to the architectural composition of the facade. 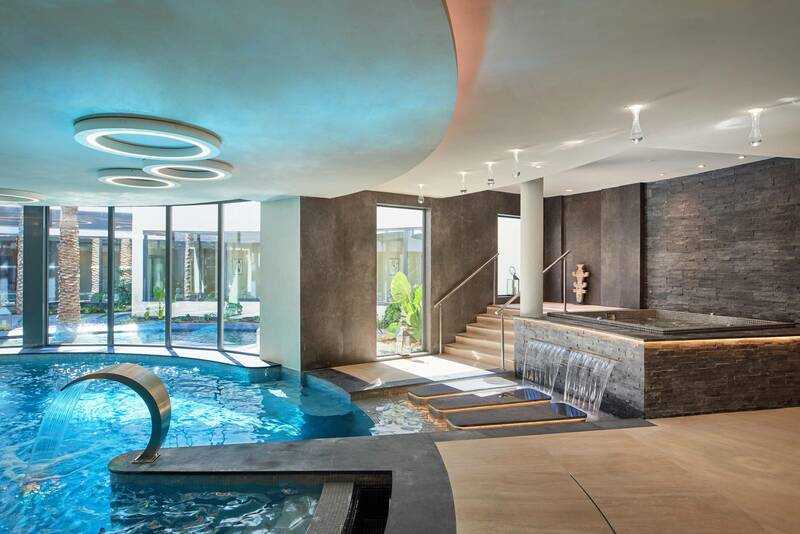 The site layout and the location of the two buildings has created a large central area where a 900 sqm Spa & Wellness private establishment has been positioned. 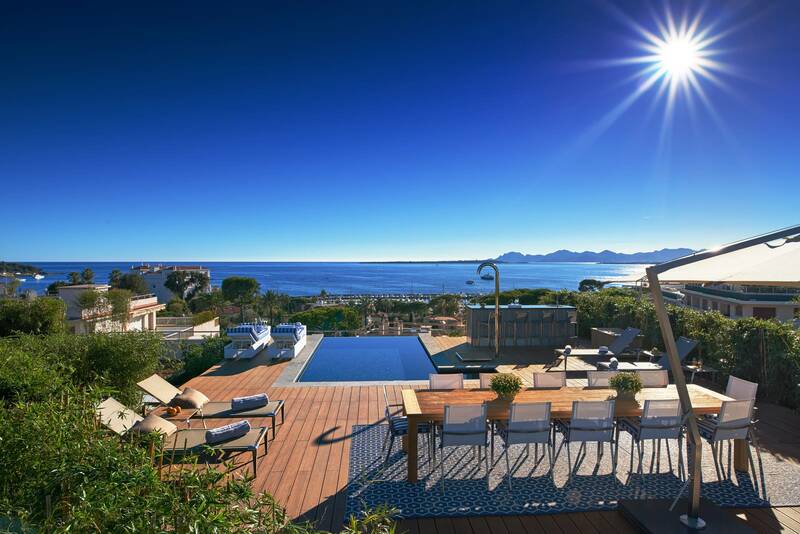 The remaining surface, free from construction, has been treated as a landscaped park that gives this development a very high-end character by restoring fully the special flora of Mediterranean gardens that are the jewels of the Riviera. Project developed in collaboration with Jean Foussat Architect.